Cotton Delights and Plenty of Stripes! 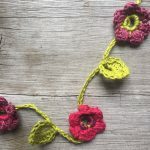 We just can’t get enough of that beautiful summer sun that is starting to shine, which means only one thing, more summer yarns! 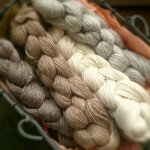 New to Loop we have the light and soft Alba Cotton from the lovely BC Garn. Need a replacement for wool this summer? Well we are certainly cottoning on to the alternatives! We have a huge selection of colours and thicknesses in sunny cotton and many new to Loop just this week! Blue Sky Alpacas at Loop!